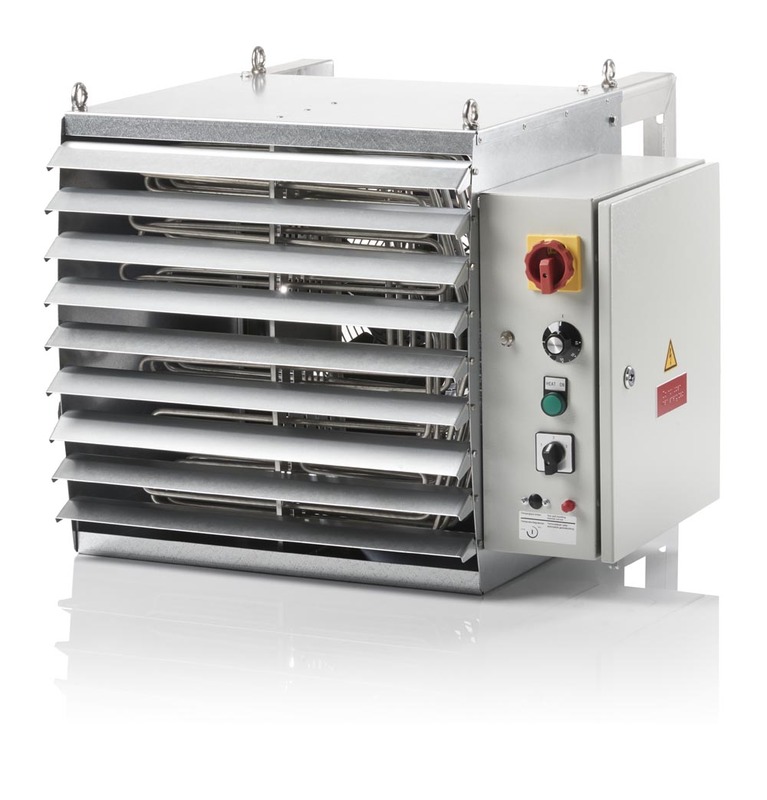 The VLE fan heaters are for fix mounting (non-portable) and are ideal for use in areas where high output is needed. It has a very stable construction and can therefore be used where high vibrations can occur. The fan heater is made of materials able to withstand aggressive effects at sea, on offshore installations, in warehouses and for large manufacturing facilities. non-corrosive areas like onshore use, sports halls, warehouses and manufacturing facilities. Regardless of which material is selected, the heating elements (stainless steel AISI 316L) are bright annealed. ° Material: Stainless steel AISI 316L or cabinet in galvanized steel with coated control panel. fan speed): 900/1050 m³/h – 50/60 Hz possible with the purchase of a regulator. can be reduced to 50dB when using a regulator for the fan unit. fan speed): 2600/3100 m³/h – 50/60 Hz possible with the purchase of a regulator. can be reduced to 56dB when using a regulator for the fan unit. 3700/4400 m³/h – 50/60 Hz possible with the purchase of a regulator. can be reduced to 58dB when using a regulator for the fan unit.